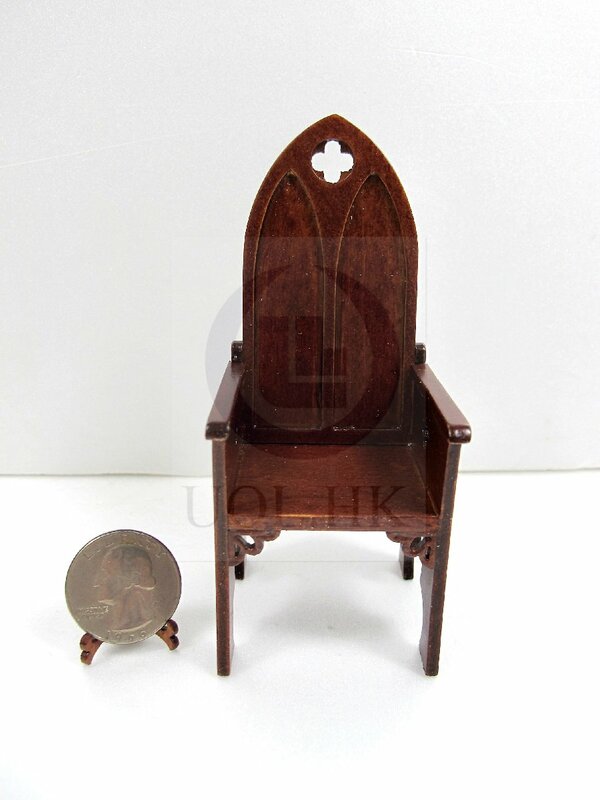 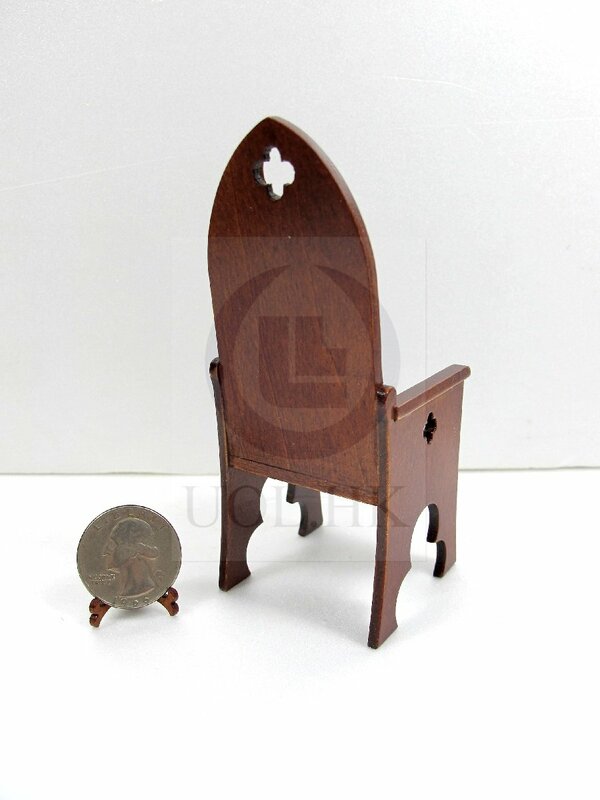 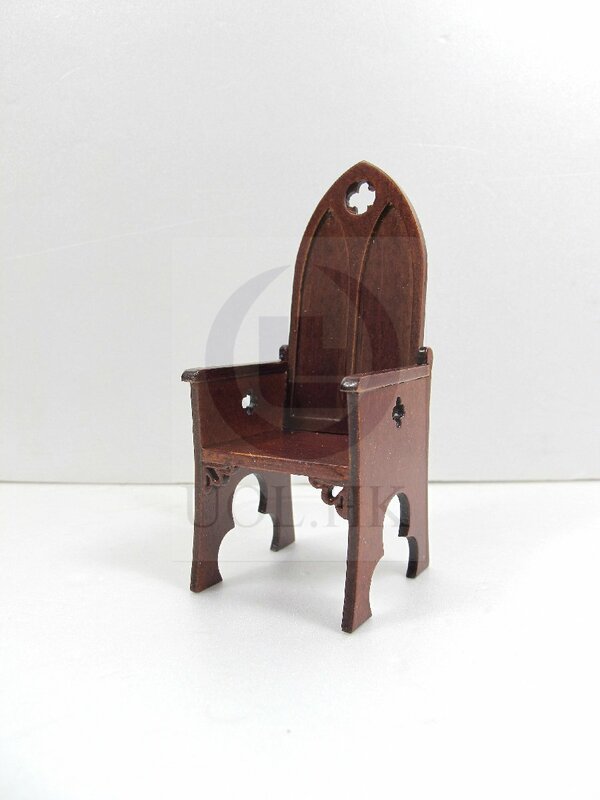 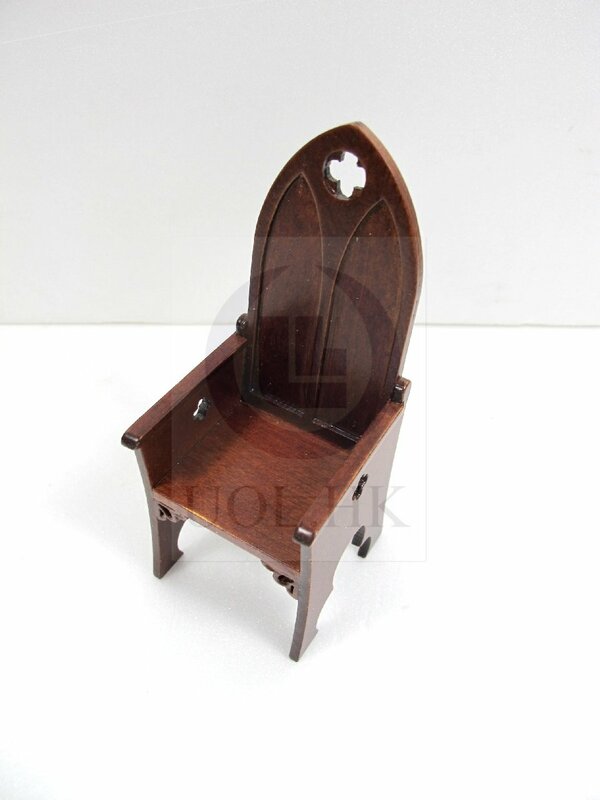 This 1:12 scale chair made of wood, finished in walnut, the back and arms are pierced by a quatrefoil. 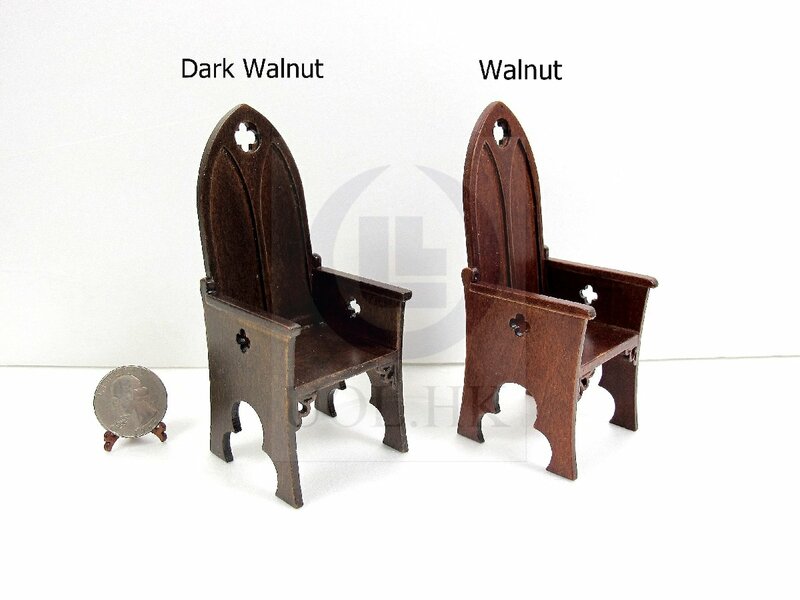 Follow pictures for reference only. 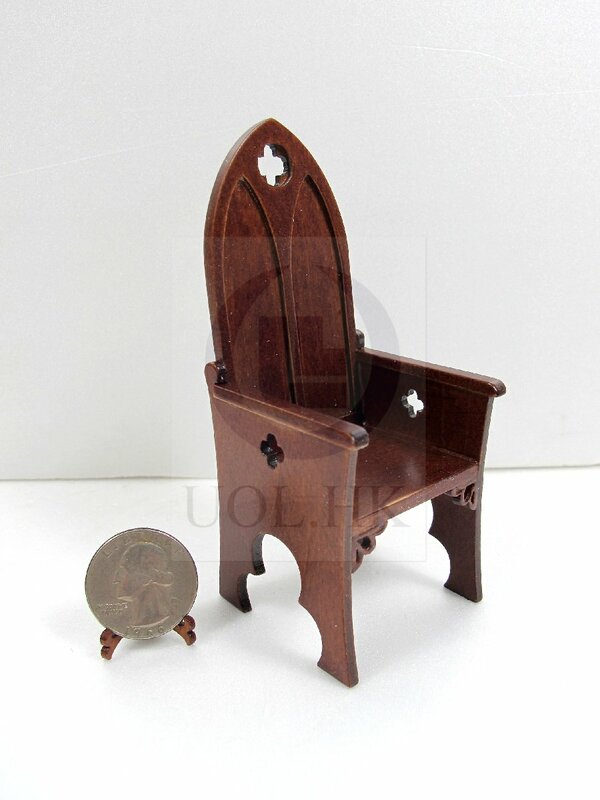 Price for one chair.